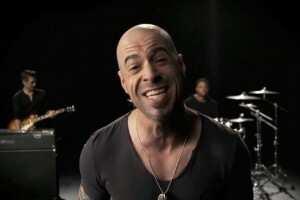 Chris Daughtry returns with his band in the official visual for "Battleships", lifted from Daughtry's fourth studio album 'Baptized', released on November 19, 2013 by RCA Records. The Joe Dietsch-directed music video features performance footage and live concert footage recorded during the band's tour this summer. Watch the Battleships video below in all its glory and check out the lyrics section if you like to learn the words or just want to sing along. Tell us if you like it by leaving a comment below and please remember to show your support by sharing it with your family and friends and purchasing Daughtry's music. And the maps and lines are broken down tonight. But we stick to our guns and we love like battleships. And I know that we’re both playing not so fair. I got my white flag up and it’s waving cause you know this love’s worth saving baby. Can we finally put our weapons down tonight? And we love like battleships. The music video premiere of Daughtry's single Battleships has already been viewed 10,781 times since it was posted on Thursday, August 28, 2014. The video belongs to the music genre of Rock.